Speaking of Temasya Glenmarie, many people will think of the odd size landed residential property that squeeze in between industrial estate and Federal Highway. Perhaps most of the potential purchasers who had gone for the Citra launching 1 year ago, still not able to recover from the pain of unable to get a unit in the Citra launch. 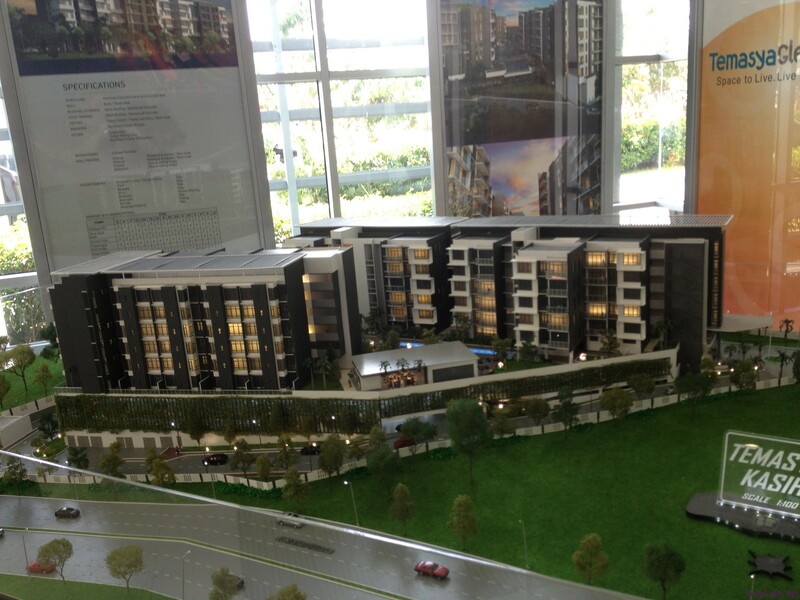 Especially the 28 x 70 double storey super link which was launched at 900K, the said link house had been transacted in the range of RM1.3-1.4 mil within few months time after its initial launch, a profitable investment for the year of 2012. Followed by the success of the previous link houses launches, next in line would be the low rise 5 storey condo namely Kaseh. There are 2 blocks namely Block A + Block B. 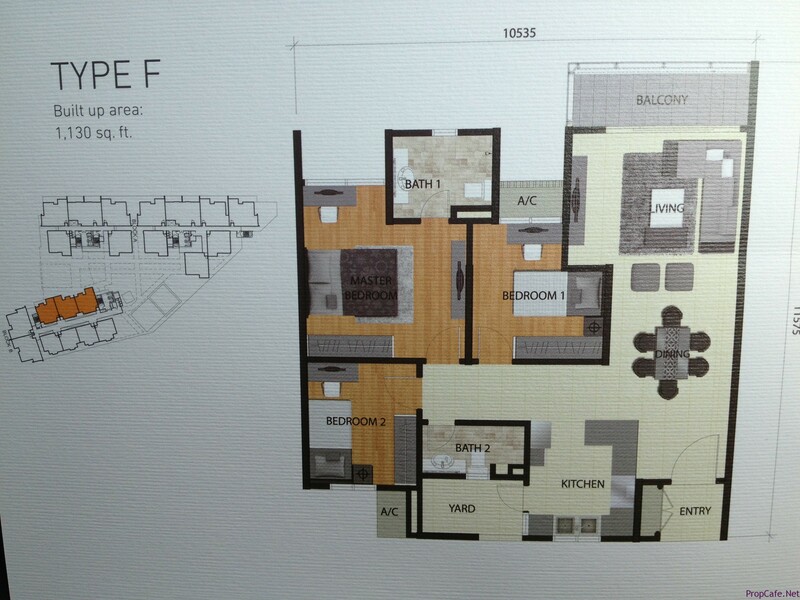 Block A – consist of units with bigger BU including Type A (Duplex) – 2939 sqft, Type B (2347 sqft), Type C (1561 sqft to 1826 sqft), Type D 1302 sqft, Type E (2390 sqft). 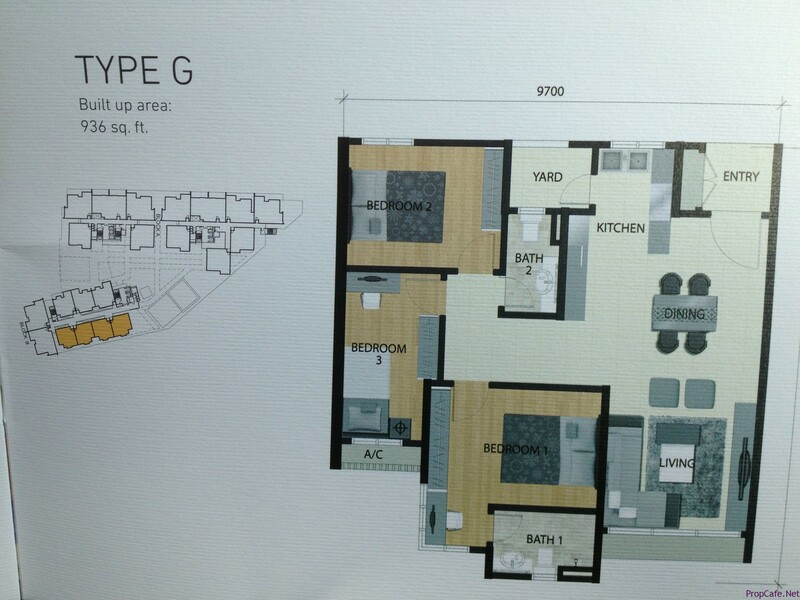 Block B – consist of only 2 types, all smaller size, Type F (1130 sqft) and Type G (936sqft). 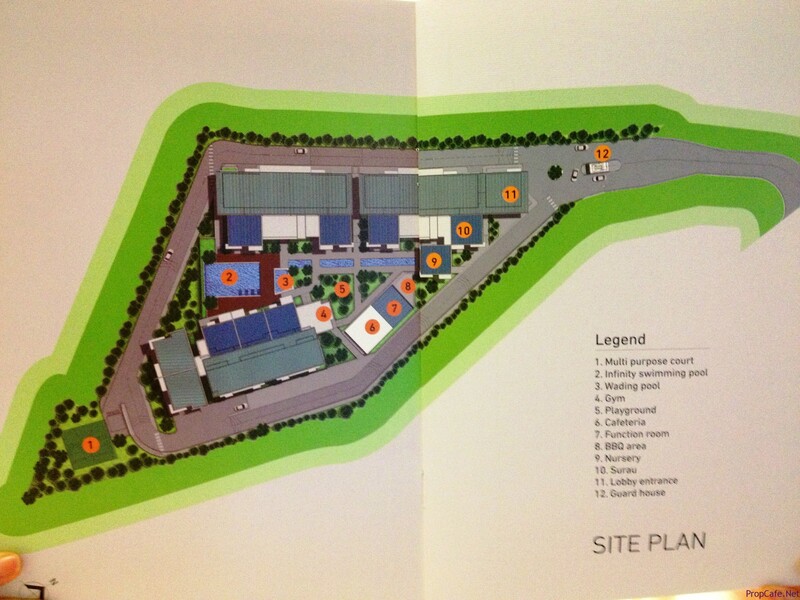 All units > 1800 sqft come with 3 car parks whist smaller unit are offered 2 car parks. I&P has conducted a Sales Preview for its VIPs on 16th May (Thursday), however those who have registered online @ TG website did not get any invitation. 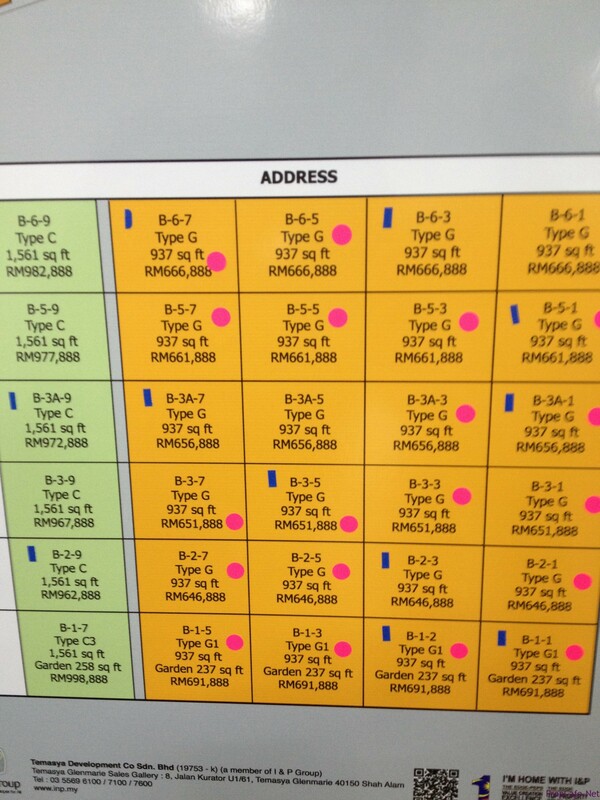 Below are the price list of the smaller units Type F and Type G, the pink stickers indicate the units were booked as at 16 May 2013 @ 2pm, whilst blue stickers indicate the units allocate for Bumi Purchasers. Unfortunately the Type G (939 sqft) are all facing High Tension Cables, whist the Type F (1130 sqft) are all West Facing. 24 hours security, swimming pool, wadding pool, BBQ pit, gym, café, nursery & Surau. 1) Price of RM650psf (for bigger duplex unit) and closed to RM700 psf (for smaller units) are at the high side for Subang Address. Furthermore, with low rise (5 storey condo), low density, full facilities, own occupiers should expect to pay high monthly maintenance fees. 2) all smaller units are either facing west or facing HTC, hard decisions. 3) despite the steep pricing, 70% were booked as on the 1st day of preview at 2pm, left only the duplex units and bigger units. I am not sure if any sticker games being played. 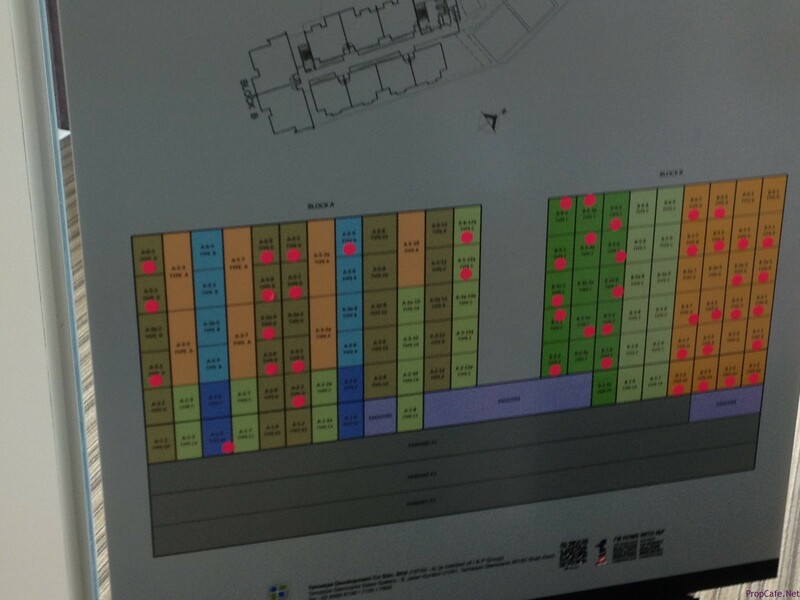 But the developer insist the purchasers to sign the SPA by coming Monday (20/5/2013), meaning the purchasers only have 1 day to consult for loan. 4) No rebates, no discount, but comes with DIBS and free SPA/Loan legal stamp duty. Really that bad meh compared tis launch w sd housing estate? I believe for suburb area, investors still looking for landed, unless we talk about the KL CBD and PJ. There are so many launches on old airport road that sold out. Even this kaseh, most smaller units already taken before launch. 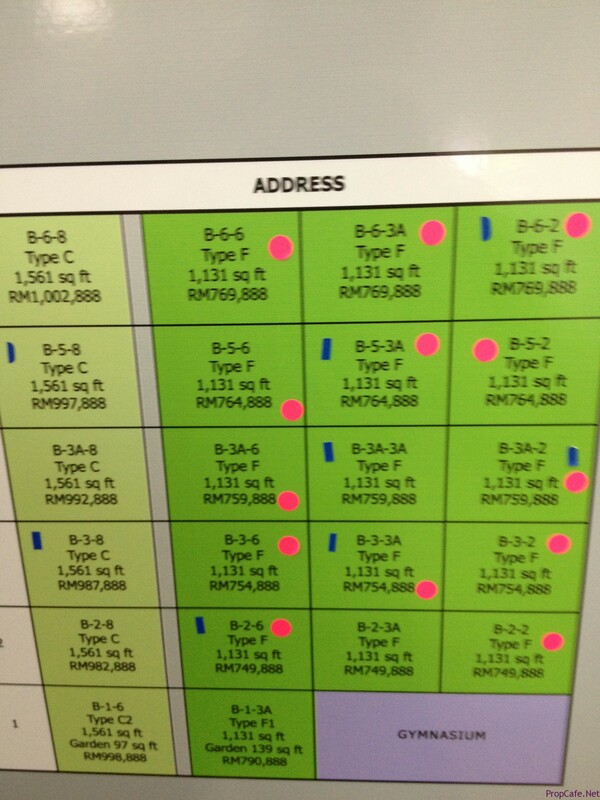 from facade to facility to size… all macam normal condo nia but price point is not normal leh. How far is it from the proposed station 3 LRT? Low density, 6th stories with lift and freehold land. Emm very attractive. Seldom can get such project. HTC is a small issue as compared to staying in a compact and congested area. 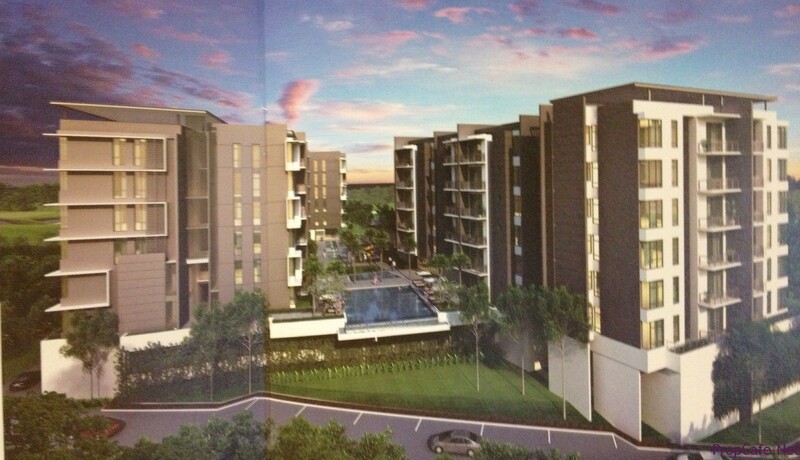 Very much interested in the Condominium but was not called even have registered since last year. Sad.